NASHVILLE, TN — Howard Gentry, Jr. currently serves the Metropolitan Government of Nashville as the Criminal Court Clerk of Davidson County. He was appointed Criminal Court Clerk in 2011 and reelected in 2012. His office is responsible for performing the clerical duties (hard copy and electronic forms) for the operation of the General Sessions and State Trial Criminal Courts. A Nashville native and graduate of Tennessee State University, Gentry was elected three times to countywide public office. He was a Metro Council member-at-large before being elected Metro Nashville-Davidson County’s first African American vice mayor. The most visible initiative Gentry has implemented during his two-terms in the Clerk’s Office may be his aggressive efforts to reach out to individuals and assist them expunge their criminal records when possible. Criminal record can follow a person for an entire lifetime and affect employment, educational and even housing opportunities even if a criminal case does not result in a conviction. Gentry said during his tenure as Clerk expungements in Nashville have “tripled” reaching over 30,000 annually. Assisting individuals move forward after a criminal conviction is only a part of the work that needs to be completed as Nashville and other urban centers deal with the affects of mass incarceration. Gentry said that although his office has no role in enforcement or sentencing, the Clerk plays a significant role in the criminal justice system. Under his administration, Gentry has worked to increase the public’s access to criminal records (case information, dockets and reporting, map crime viewing and arrest data) via a redesigned website. The collection of court fines and costs are a major component of the Clerk’s Office and Gentry has established an aggressive yet fair approach to this task. Gentry, the son of the famed TSU Head Football Coach by the same name has been involved in civic and charitable organizations for decades. He is the founding chair of the Metropolitan Homelessness Commission, and Nashville Poverty Reduction Council. He served as chair of the State of Tennessee Prayer Breakfast Committee, the Metropolitan Social Services Commission, NAACP, and United4hope. He is also a member of 100 Black Men of Middle Tennessee, Nashville’s Agenda, Nashville Alliance for Public Education, Music City Bowl, Nashville Sports Council and, Leadership Nashville. 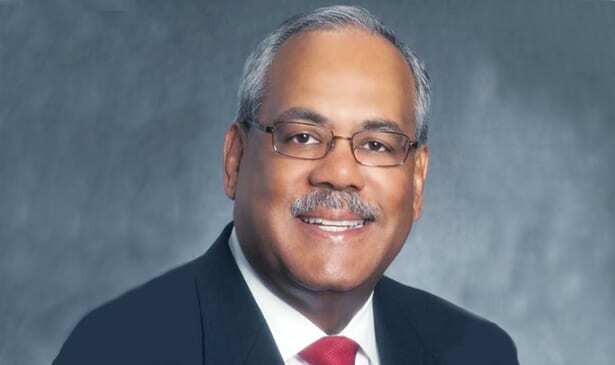 He has also served on the boards of the State of Tennessee Sports Hall of Fame, Nashville Public Television, Arts and Business Council, Fisk University, Boy Scouts of America Nashboro District, Frist Center for the Visual Arts, Operation Andrew and Key Alliance. Howard Gentry’s work in business, academia and government is unparalleled. Gentry has truly transformed his agency and said he has plans to establish more breakthroughs in his next term as clerk. The primary election in Davidson County takes place Tuesday, May 1. 2018. Residents must register by April 2, 2018to be eligible to vote.